Birds and Eggs is an Android game that has recently caught our attention with its lovely, beautiful and colorful graphics that will bring joy and entertainment in any family. It is a game for all ages that is practically a relaxing and simple game. Birds and Eggs has simple goal, the eggs are falling and you needs to catch them. The birds are throwing eggs in different colors, but also, like the normal birds, they can poo or drop black egg. However, watch out for the golden eggs as well because they will bring you extra points. The game has cute graphics and music. The controls are extremely easy. 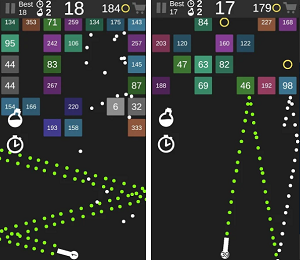 With the simple tap-n-drag gameplay you can move around the basket throughout the whole screen. We are sure that everyone would love this cute game. Get it for free on Google Play and try to collect as many eggs as possible. The game is integrated with Google Play Games so climb your spot to the top of the leaderboard.